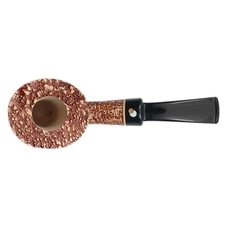 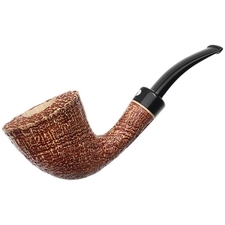 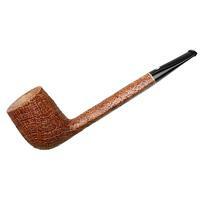 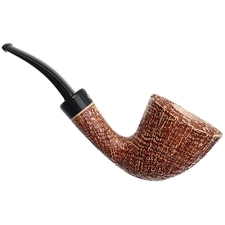 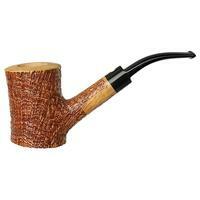 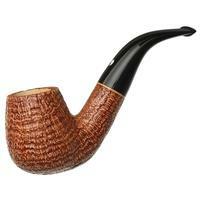 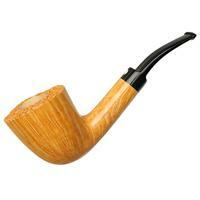 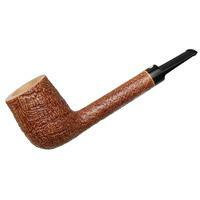 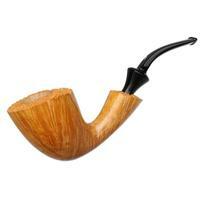 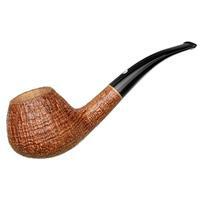 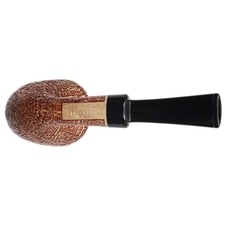 A tighter and finer-patterned Cavicchi sandblast, briar-wise, this Dublin also sports shaping to match; i.e. 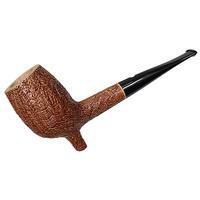 for one of Claudio's it's on the lighter and trimmer end overall (though still far from small of bowl). 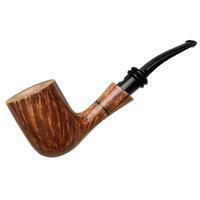 He even gave this plateau-rimmed smoker one of his lighter styles of stain, again a perfect match.